Don't know what type of paper to use for a craft?Check out this handy list. Never be mystified by a crafting project again. Cardstock is a medium weight paper. It is heavier than printer paper and thinner than cardboard. Greeting cards, scrapbooking, handmade boxes, and more are most often made from this type of paper. Cardstock is sold in a variety of textures and colors. It can also be lignin and acid-free which is the perfect medium for scrapbooking. Cardstock is the most popular type of crafting paper. Construction paper is a favorite for children's crafts because it is inexpensive and is available in many colors. It has a rough texture and is difficult to fold. Construction paper is not for projects that are meant to last a long time because the colors fade quickly. Elementary school teachers often use construction paper for class craft projects. This type of cardboard usually has two thin outer layers of paper, with a fluted sheet of paper in the middle. Cardboard boxes are made from corrugated cardboard because it is an incredibly robust and durable type of paper. Because corrugated cardboard is stiff, it can be difficult to cut. Use a sharp craft knife and ruler for the best cutting results. Cardboard boxes can be made into toy houses, cars, spaceships, and even furniture! You are only limited by your imagination! The fluted middle can be used in scrapbooking and card making. Crepe paper is a type of thinly coated tissue paper. It is gathered to produce a crinkled surface which stretches easily. It comes in many colors and is sold in rolls or sheets. Crepe paper is often used for paper flower making with stunning results. Crepe paper streamers are used as party decorations. Many kids crafts are also made out of crepe paper. Make sure to use a higher grade of crepe paper, such as Italian crepe paper when making paper flowers. Paper flowers made from Italian crepe paper are quite striking. They can be surprisingly realistic and quite stunning. Kraft paper is a coarse brown paper that is used for wrapping packages. Paper bags are also made from this type of material. It can be bleached to various lighter shades varying from brown to white. Kraft paper is available in sheets or paper rolls. Kraft paper is used for cardmaking, scrapbooking and even paper flower making. Mulberry paper is a handmade paper that originated in China. It is made from the fibers of the mulberry plant and produces an exceptionally lightweight but durable paper.It has a coarse texture and an organic look. It is often used for scrapbooking and collage work. Newsprint is the paper used for printing newspapers. It is a cheap paper that is thick enough to be printed on both sides. Newsprint is often used for paper mache projects. It tears easily and holds paper mache paste well. Origami paper crafts can be made out of any paper that folds well.Craft stores sell prepackaged paper that is explicitly used for origami. They usually have Washi paper designs on one side and a white background on the other. The paper is square and folds well, but often may be quite thin and not suitable for crafts other than origami. Scrapbook paper is available for sale at craft stores. This paper comes in thousands of patterns and designs.The choices can be overwhelming.Some papers are thicker than others, and some are printed on both sides. 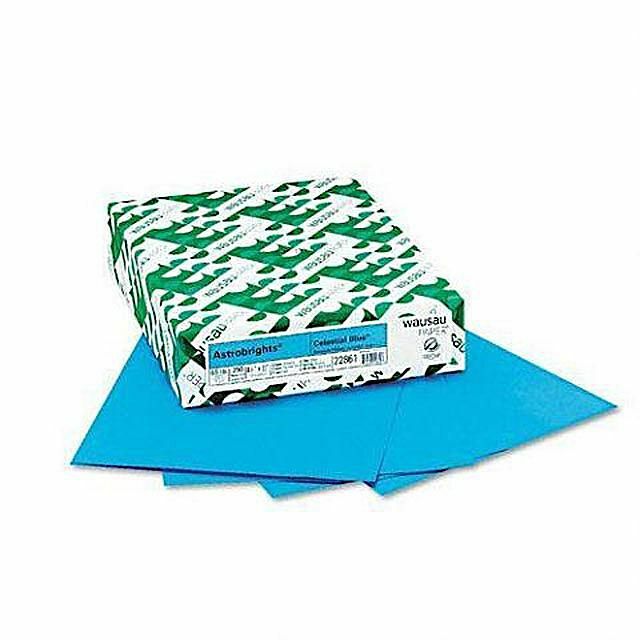 Standard scrapbook paper sizes are 12 inch x 12 inch or 8.5 inch x 11 inch. Although scrapbook paper is sold primarily for scrapbooking, it is suitable for use with other types of paper crafts. Tissue paper is a fragile paper that comes in a variety of colors. White tissue paper is used to wrap items in stores. Colored tissue paper is used for gift bags, paper flowers, collage work and even painting. Tissue paper also makes beautiful giant sized pom-poms which are used for party decorations. Vellum paper is translucent and quite thin. It is used for card making, scrapbooking and tracing. Vellum is often used as a layer in wedding invitations or fancy greeting cards. Decoupage is the art of gluing cut out pictures onto an object. Furniture, jewelry, glass plates, paper boxes, and light switches are just some of the objects that can be decorated with decoupage. Craft stores sell beautifully printed papers that are explicitly used for decoupage, but any thin paper, such as glossy magazine cut outs or tissue paper will work. Washi paper was invented by the Japanese. It is stunning and can stand alone as artwork. It is quite unique in design and used for a variety of crafts. Washi can be used for card making, scrapbooking, wallpaper, bookbinding, screens, origami and many other crafts.